These thin, non-serrated slide packers are designed to place and compress cord with a sliding action as the clinician circles the prep. The thin head skinks into the cord. 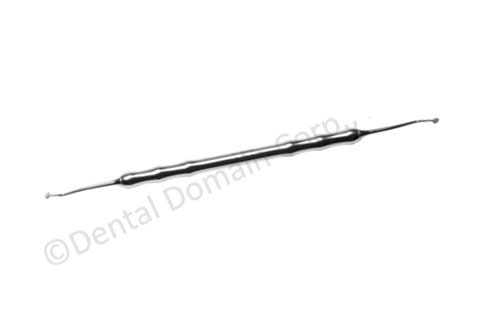 The smooth, circular head allows placement of cord in a sliding motion around the preparation without lifting the instrument from the cord. The 45� angle minimizes the need to flip the instrument end for end.